It should come as no surprise that my children love to draw. Another not so big shocker is that my kids love accessories. These two passions got me to thinking: "how can we combine the two?". 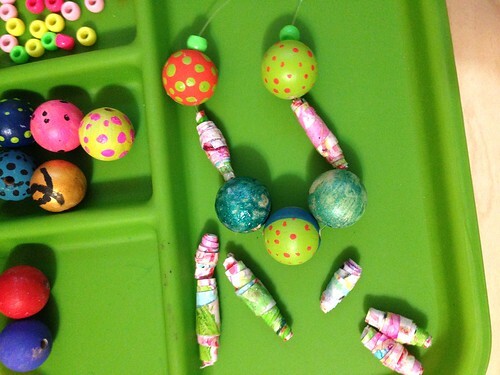 I had made paper beads from pages in my own art journal, seemed only logical to do the same with my kid's art. Tallulah has many drawings to choose from, but for this project we discussed abstract art. The more colors, patterns and lack of white space the better. 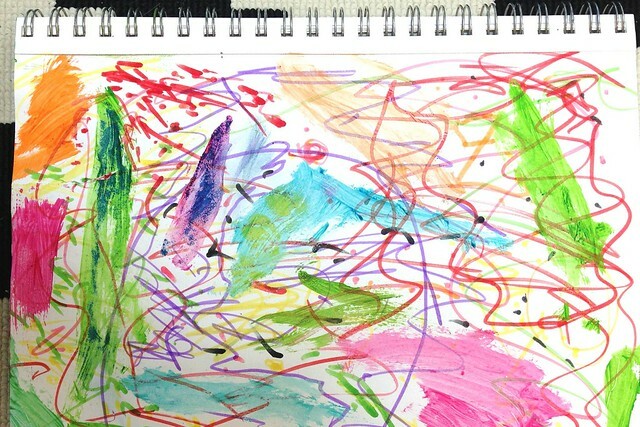 Tell your child to go all Jackson Pollock on the paper. There are oodles of patterns for paper beads on the internet. How you cut your strips and the tightness of which you roll them determines their size. I decided to go the organic route and had Tallulah help me draw free hand triangles on the back of her art work. From here she cut them out. The next step is to roll them onto your bamboo skewers. Start with the widest end and roll. 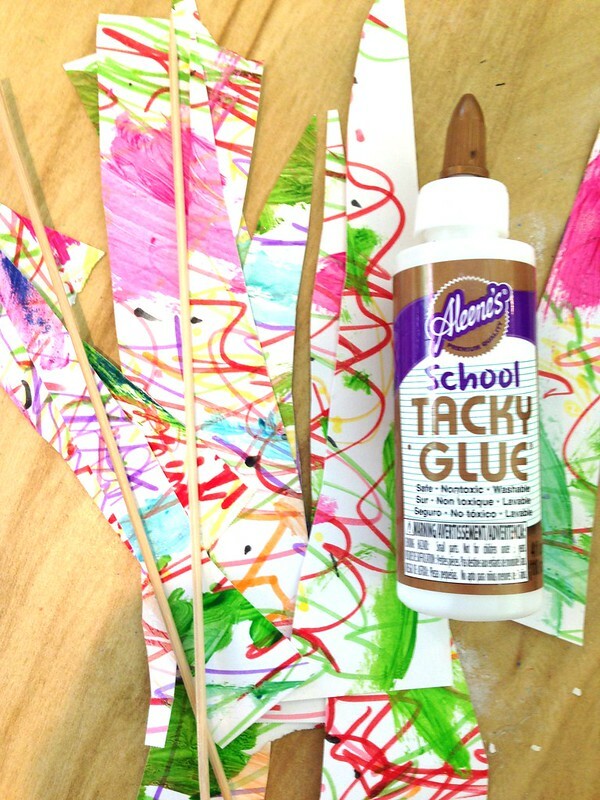 Add a dab of School Tacky Glue at the end of each bead to hold in place. 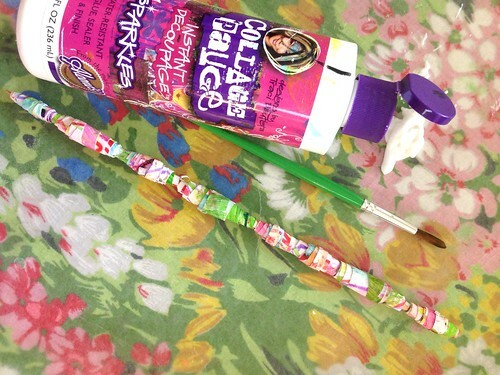 Once your beads are rolled coat them in Collage Pauge to protect them and allow to dry completely. 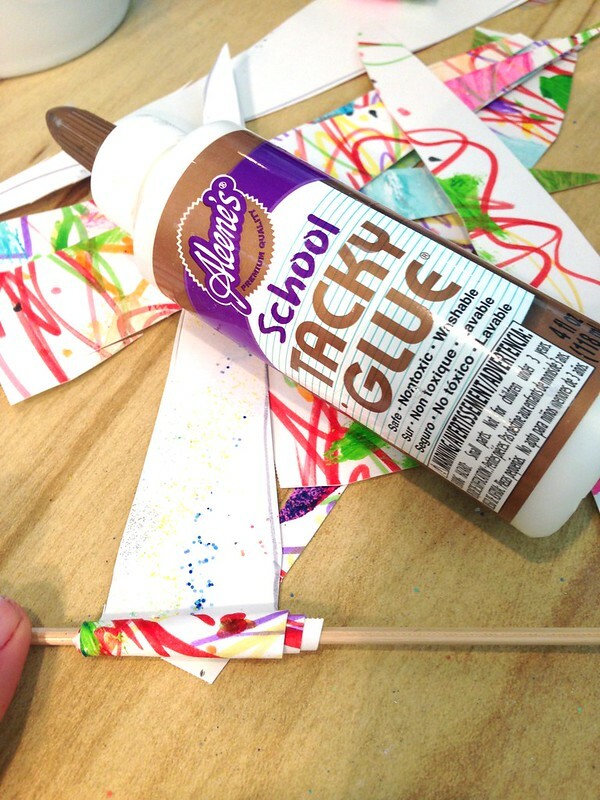 Next I set Tallulah up with some jewelry making supplies, including her new paper beads made from her art. Tallulah had enough beads to make a necklace and a bracelet. Now not only does she love to make her own jewelry, she loves to make her own beads.